Advisor to Indiahomes on fund raise from NEA. IndiaHomes announced that, in the largest ever investment in a real estate portal in India, it has received an additional investment of INR 150 crore in an investment round led by New Enterprise Associates (NEA) with participation from its existing investors Foundation Capital and Helion Venture Partners. IndiaHomes, India's First Professional Property Broking Portal was set up in March 2009 with the vision of supporting customers aspiring to own a house by hand holding them through the complex process. The company’s vision is of “empowering” home buyers with “choice and voice” by using numerous cutting edge technologies to facilitate real estate transactions. IndiaHomes is India’s first FDI funded real estate portal and also the first professional property services company in this sector to receive international Private Equity funding. Helion Venture Capital and Foundation Capital have already invested around INR 120 crore in the company. The real estate market in India, which has been traditionally dominated by the unorganized sector, largely unregulated and represented by sole proprietorships, has witnessed a change with the advent of online property portals. Today, there are over 4 million online searches per month for properties with 16,000 to 20,000 properties sold every month through portals. 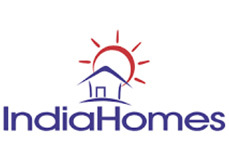 Bala Deshpande, Senior Managing Director of NEA, who led the investment and has now joined the Board of IndiaHomes stated “In the increasingly exciting world of real estate portals, IndiaHomes has demonstrated a leadership position by achieving tangible real business results. We believe that the winning combination of cutting edge technology coupled with disciplined rigorous execution will ensure IndiaHomes will be the market defining company in this space. We are delighted to partner them on this exciting journey”’. IndiaHomes has revolutionized the business of property services by ushering in an era of professionalism,excellence, integrity and trust. The company offers a complete turnkey of services to its customers in both the primary as well as secondary market such as short-listing of suitable properties, comparisons of multiple properties, site visits, market analysis and unbiased recommendations and advice best suited to the specific needs of the customer. IndiaHomes provides end to end customer solutions through its value added services like expert documentation, finance and mortgage along with its core business of buying/selling/rental of residential properties.